Work, Live & Play at Pahaska Tepee Resort! 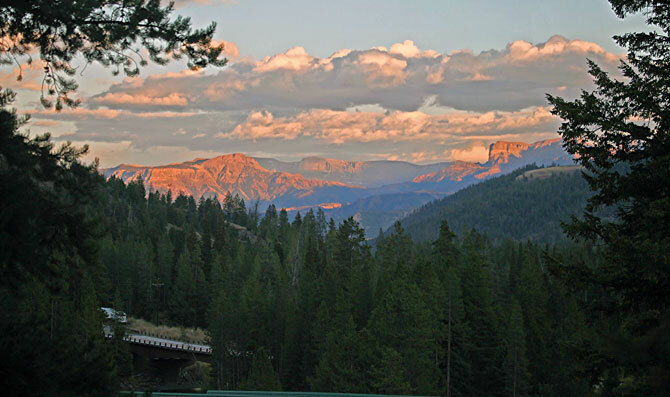 This is your opportunity to spend the summer in the Shoshone National Forest and just 2 miles from Yellowstone’s East Entrance. Pahaska Tepee Resort is bordered by two crystal clear mountain streams and is directly south of the North Absaroka Wilderness. We are one hour west of the nearest town of Cody, WY. Historic Pahaska Tepee was built by Buffalo Bill in 1904 and the original hewn log structure still stands. Today Pahaska is a full service resort with 48 rooms. We have an excellent restaurant and bar, one of the best gift shops in the area and a gas station/convenience store. We also offer trail rides. Wildlife on the lawns, mountain vistas, blue ribbon trout fishing and miles and miles of hiking trails abound! Best of all, Pahaska is privately owned by the Coe family since 1946. We pride ourselves with not being the corporate environment and being more people/employee oriented. You’ll find our pay rates very progressive for our region. Wages are based on a 40 hour work week -anything over 40 hours is considered overtime and paid at one and half times your hourly wage. This year we are offering a generous bonus for employees fulfilling their contract date. We also try to give you 2 days off in row so you have plenty of time to take advantage of the many opportunities available in our area. Dorm style room & board are provided to you for a small fee. Sorry, we do not have housing for families or pets. We have limited wireless internet access for our employees however we do not have cell phone service. All employees must be 18 years or older and are expected to exhibit proper hygiene, a neat appearance and to maintain a clean living environment. While we encourage your individuality, facial jewelry (nose, lip, tongue or eyebrow piercings), extreme hair colors and visible tattoos are frowned upon and will not be accepted while on shift or in the public's eye on property. You MUST be able to provide a valid picture ID or Passport, and a social security card before the start of your first shift. We require a $100.00 room deposit (Deducted from your first check). Pahaska is an equal opportunity employer. We expect our employees to provide guests with western hospitality and always have a positive “can do” attitude. If you are looking for a true western summer job in the mountains of Wyoming, and are motivated with a strong dedication to honesty, integrity and courtesy, we would be very interested in hiring you. Our summer season runs from May 10th through early October. We look forward to hearing from you! We are currently accepting applications for all positions. Please be aware that all positions require some lifting and standing for long periods of time. All Positions are Currently Available for 2019! Our season runs May 10th to October 7th. We are looking for a person who can work accurately in a high pressure environment. Duties include answering phones, checking guests in and out of rooms, making reservations. Responsibilities carry over into gift shop as well. Organization, attention to detail, math and multi-tasking are necessary skills. Basic knowledge of Excel is helpful. Must be able to climb stairs, operate computers and office equipment. Cleaning guest rooms, bathrooms and working in the laundry. Must be detail oriented. Duties include: cleaning toilets, mopping, vacuuming, dusting, making beds, washing windows, sweeping, laundry, folding laundry, on call evening shifts. Preparing good, healthy and varied buffet style lunches and dinners for approximately 50 employees, stocking the employee dining room and maintaining a clean dining environment. Baking and knowing recipes and how to cook for groups is necessary. Must be experienced in cooking ON THE LINE in a fast paced environment. Breakfast/lunch and lunch/dinner positions are available. We are willing to train a motivated person. This position involves washing dishes, pots and pans, taking out the garbage, mopping and general cleaning. Experience necessary for busy, up-scale restaurant, must be able to carry trays. Duties include clearing, cleaning and resetting tables and assisting the server. Must be quick on your feet and motivated. Responsible for seating people in the restaurant. The host is the cashier and also makes espresso drinks. This position is fast paced and requires a person with a great attitude. You are the guest’s first and last impression! Cashier and sales, stocking and cleaning gift shop. Must be able to climb stairs and carry 20 pounds. Cashier, stocking and cleaning gas station/store. Candidate must be detailed oriented and hard working and have a can do attitude. The department is responsible for grounds maintenance and general repair of all aspects of the resort. A valid driver’s license is required. On call evening shifts are typical. Must be able to lift 50 pounds. This is a working housekeeping job as well as overseeing guest room cleanliness, laundry operations and training other housekeepers. Attention to detail is a must. Valid driver’s license required. Pahaska is an equal opportunity employer and we will consider applicants for all positions without regard to race, color, religion, or gender.